We understand that prompt legal advice provided at an affordable rate is critical to our clients. We will advise you how much your matter will cost and why. We know that price is important for our clients and we are always upfront and open in this regard. Our law firm acts for a wide range of clients who are located throughout Victoria from sole traders through to large food manufacturers. Obtaining expert advice before entering into business arrangements is always advisable. We would be very pleased to speak to you whether it is about your latest venture or an issue that has arisen in a longstanding business. It is important that when either getting in or getting out of a business that all legal matters are dealt with appropriately and punctually. Even transactions that on their face appear simple can present matters that require expert legal advice. We act for landlords helping them protect their investment and tenants to ensure that they are getting a fair deal. The law surrounding leases is complex and you should always obtain expert legal advice prior to entering into a lease, leases generally run for many years so you should understand what you are signing up to. If you are lending money or borrowing money from an associate or relative correctly drafted documents are essential. A correctly drafted loan agreement will contain terms that specify the parties’ rights against each other in sufficient detail so that those rights are recognised by a court. If a loan agreement is not drafted correctly the lender may miss out on interest, the repayment date may not be clear or the lender’s ability to call up the loan on default may not be enforceable. Joint business owners should always enter into an agreement which carefully sets out exactly how each party relates to the other and what happens in a break down in the business relationship. The best time to prepare such an agreement is at the start while everybody is on the same page and likely to agree on this important document. Modern businesses are ever more reliant on intellectual property and it is essential to get appropriate legal advice to protect this. For more information read ‘Seven IP mistakes businesses make‘. Employers should use carefully drafted employment agreements to reduce the chance of disputes and costly litigation occurring and to ensure proper staff management. Why do all partnerships need a buy sell agreement? 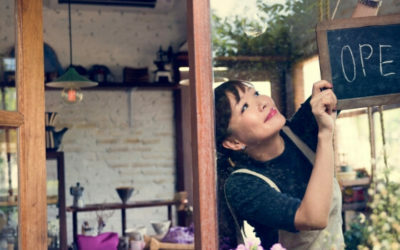 There are many reasons why partnerships end, retirement, illness, sale of the business, death or a breakdown in the relationship between the partners. The best time to decide on how to transfer a business between partners or how to bring in new partners at the beginning of a partnership when relationships are good and agreement easy to reach. 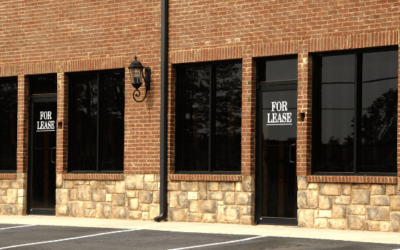 What is the difference between a commercial lease and retail lease? Retail Leases form a sub-category of commercial leases and affect premises at which . Retail lease are governed by the Retail Lease Act 2003 which provides extra rights and protections for tenants. The business structure that you use to operate your business can make a huge difference to your exposure to risk and tax affairs. It is important that you consider what is best for your business as every business is different. Companies, discretionary and unit trusts, and partnerships all have their advantages and disadvantages that should be discussed with a solicitor. A franchise business is one in which the business operator (franchisee) pays a fee or royalties to the franchise owner (franchisor) in order to use the intellectual property, branding, buying power, business systems and goodwill of the franchisor which can provide advantages to the business operator. It is important that you have a franchise agreement read over and explained to you prior to entering into it and franchise agreements contain strict terms and put a large responsibility on the franchisee. One of our Commercial Law team will contact you for a free chat about your legal requirements.